The new version lacks the personality and love that I have associated with Slack for several years. 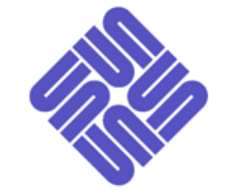 On first blush it reminded me of the old Sun Microsystems mark. Notice how it goes around in a circle. Same as the new Slack logo. 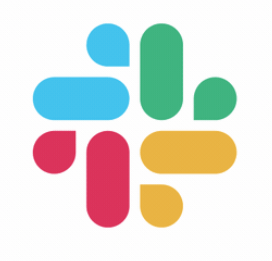 Except the Slack logo looks like little baby ducks in a circle. Someone else looked at them and said, “It looks like the NBC Peacock and Sun Microsystems had a baby. Slack said they changed it because people used it incorrectly. Also because they had different versions of it for different purposes. This is what’s called a YP, not an MP. The fact that it’s difficult to maintain is YOUR (Slack’s) problem. I loved the logo and associated it with a positive experience. Now you changed it because you had issues. Now it’s MY problem. I don’t like the logo anymore. In essence, they made a tradeoff. They made it easier for themselves to love and harder for me to love. They optimized selfishly rather than empathically. Companies do this all the time. They optimize for their own workflow and management at the expense of the consumer experience. Everyone has to work at their job and everyone has aspects of the job that they don’t like. Everyone has problems. Throughout the world, people make things better for themselves by making it harder for other people. They trade their MPs for YPs. TANGENT example: Politicians shut down the government and 800,000 people aren’t getting paid. They say “Oh, they will get backpay when it’s reopened.” My question is “What about when they bounce a check and have to pay the fees? Will they get that money back?” And the answer from politicians is “Oh, that’s not an MP, that’s a YP”. It makes me mad when people make this trade off. I will get over my disappointment in Slack. I will get used to whatever weird logo they have. I will even forget there used to be an old logo. However, Slack just lost a little bit of my love for them because they turned their problem into my problem and I don’t appreciate that. Yeah, I get that people’s initial response to a new company logo is unwelcoming, but this isn’t about creating something that is visually appealing. Sure, that’s a part of it– but there’s a whole other level of design here that had enough buy-in to get a new logo. I’m sure it was to solve a problem. Of course it was to solve a problem. They stated their problem clearly. But it created a new problem. Nothing is free.